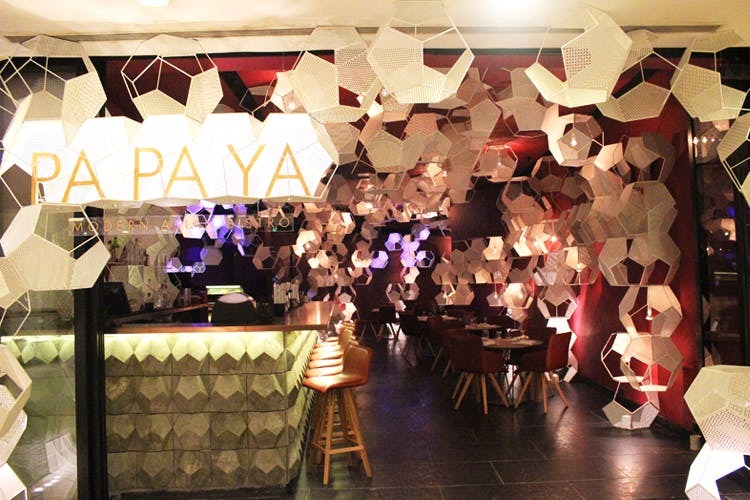 Pa Pa Ya- the Pan Asian restaurant at High Street Phoenix that has won the hearts of many and is now set to open its new, chic south Mumbai standalone outlet this month in Colaba. Known for its delicious Pan Asian cuisine that is influenced by several countries across Asia Pa Pa Ya’s menu offers the best chows from countries such as Thailand, Myanmar, Vietnam, China, Japan, Malaysia, Korea, Indonesia and Singapore. And to bring to each guest this amazing avant-garde epicurean experience, Pa Pa Ya for reinvents itself and puts forth some of the most amazing food we’ve eaten. The new outlet in Colaba, which opens close to the Colaba Social, will be spread over 2,500 sq.ft and the interiors are designed in a chic, modern palette of colours and furnishings. In terms of its interiors and concept, this Pa Pa Ya is unlike any of its other outlets, and along with offering the finest food, there will also be a whole new bar menu with a range of cocktails in its signature beverage section, which have been curated using molecular mixology with cutting edge innovation. The new outlet is set to open next week, so make sure you’re super hungry and charged to try out the Pa Pa Ya at Colaba. Did You Know You Could Get A Chocolate Ball Lit On Fire In Mumbai?